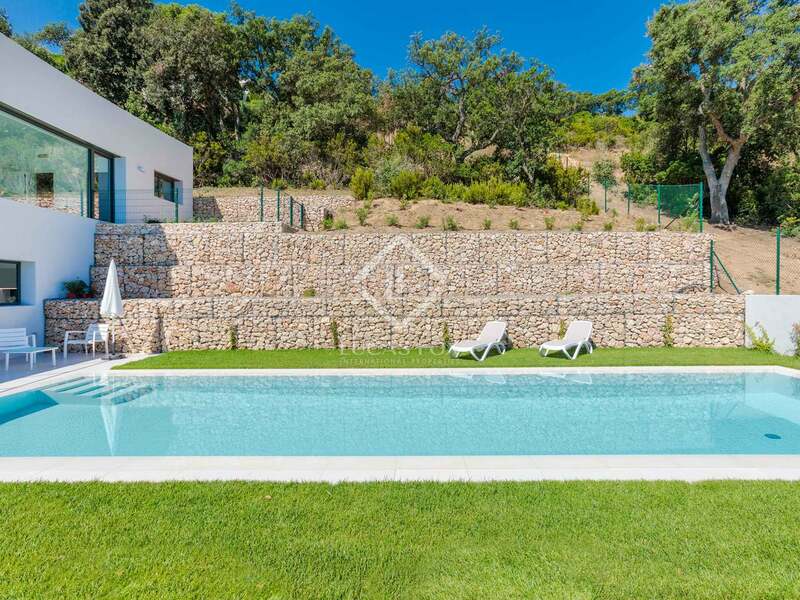 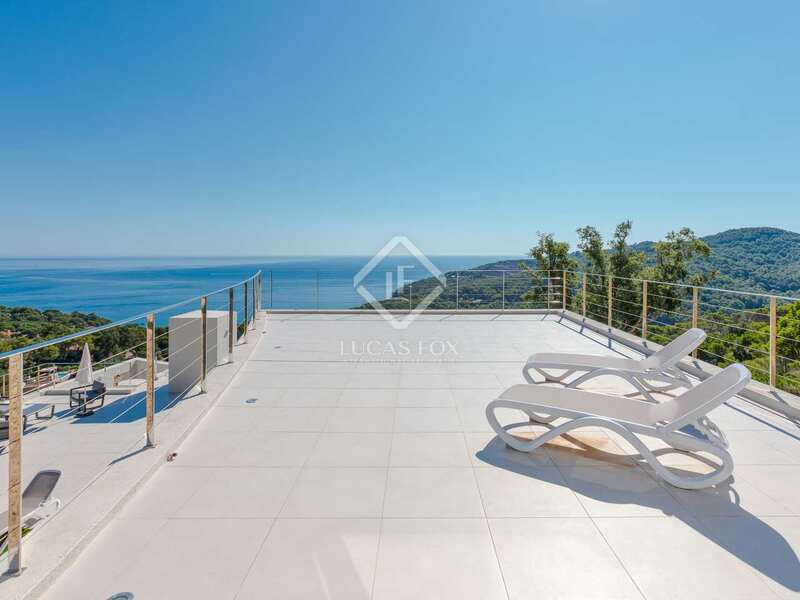 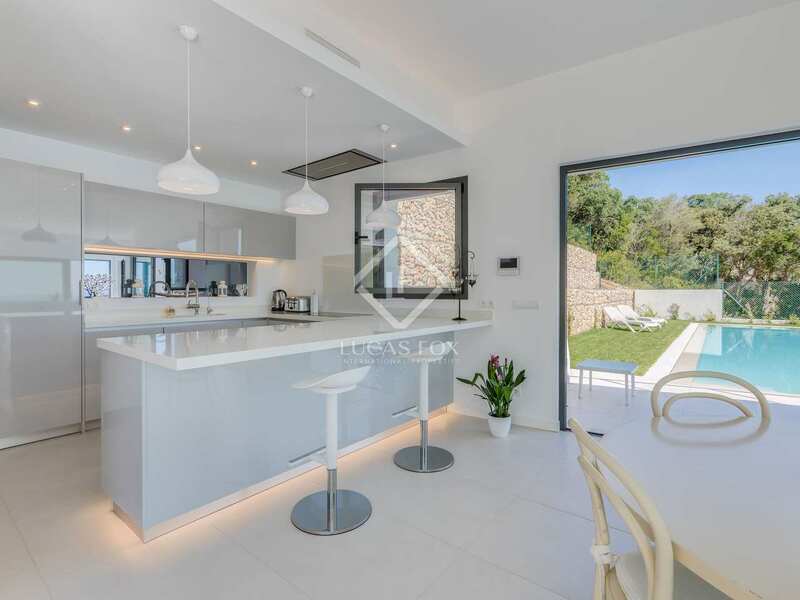 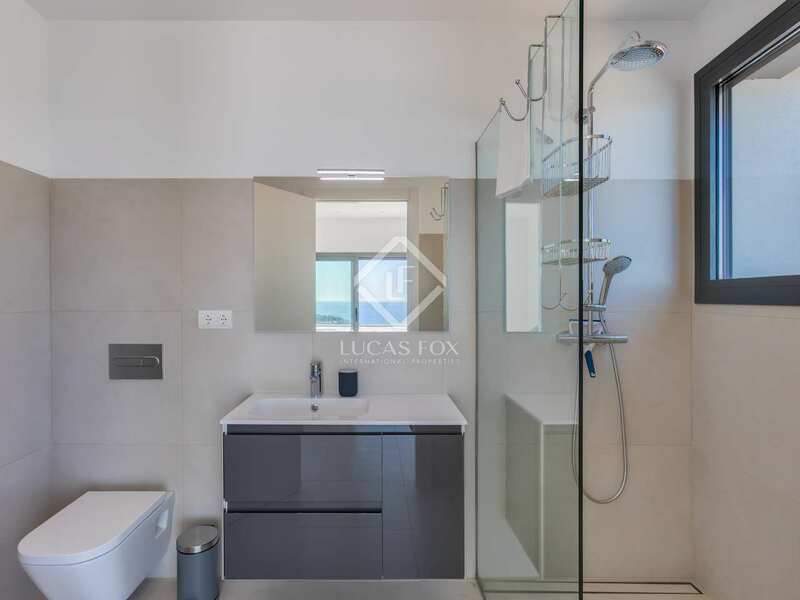 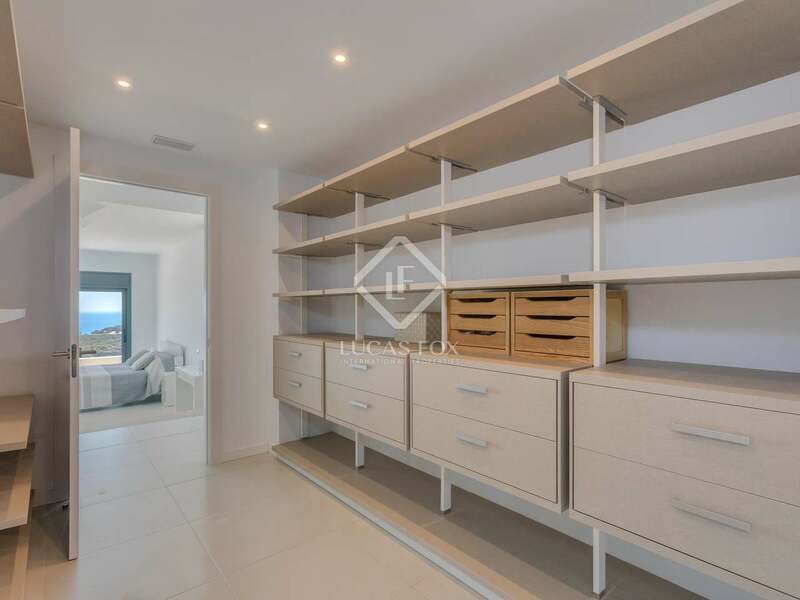 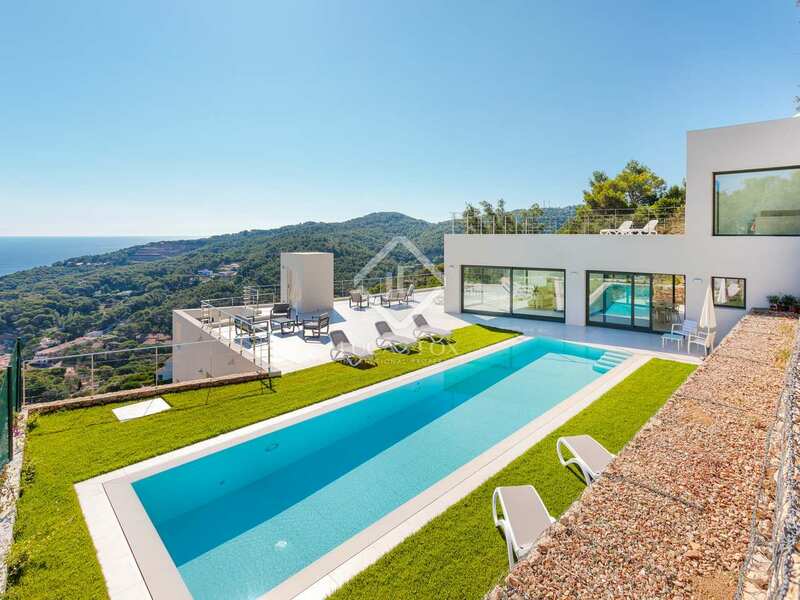 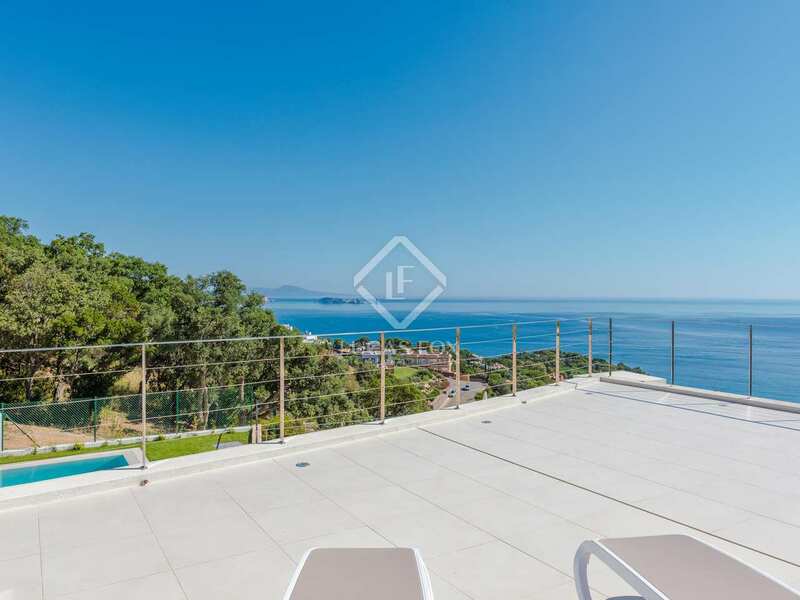 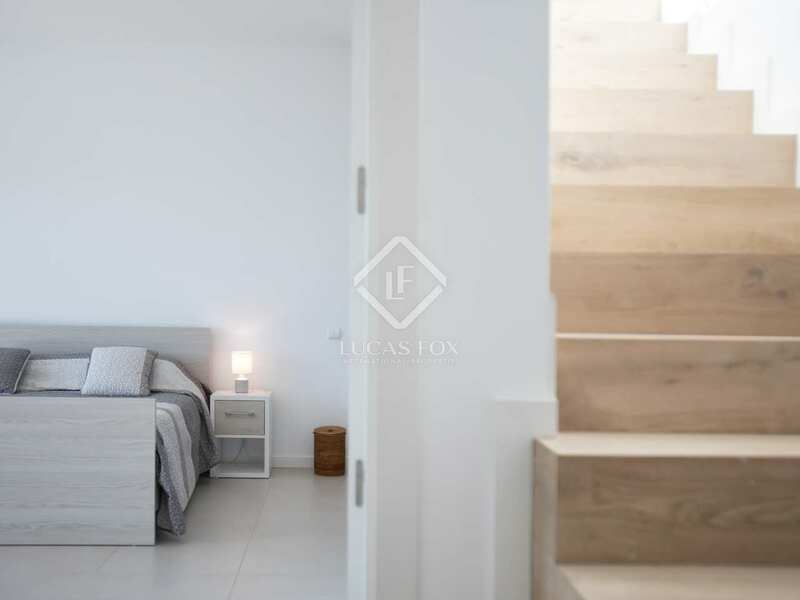 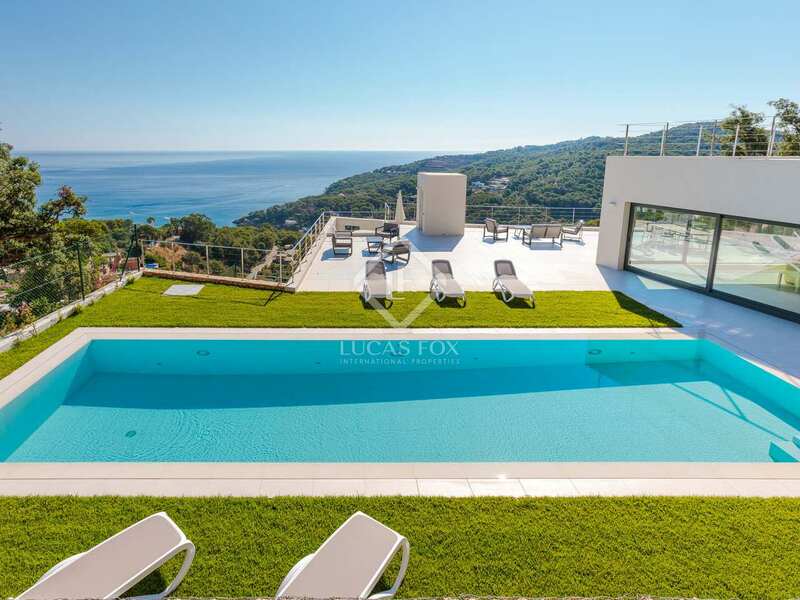 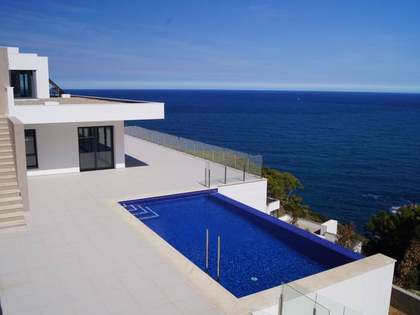 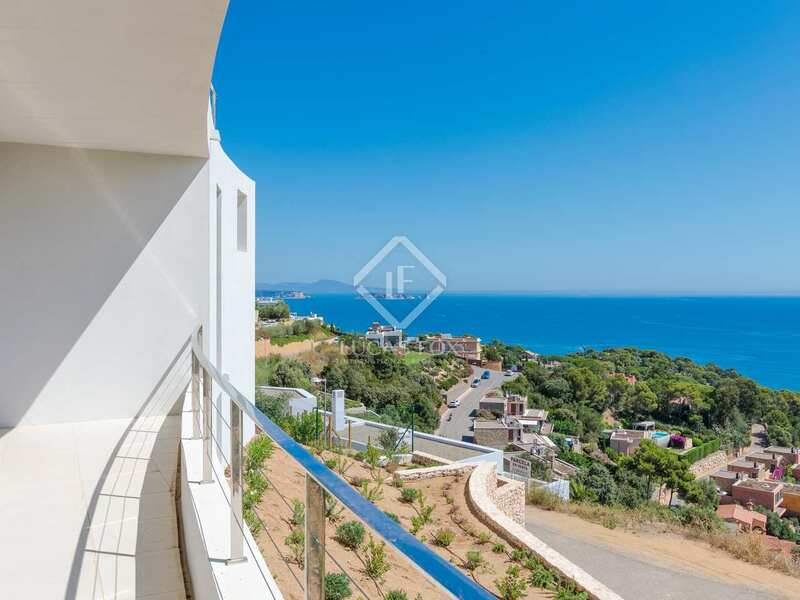 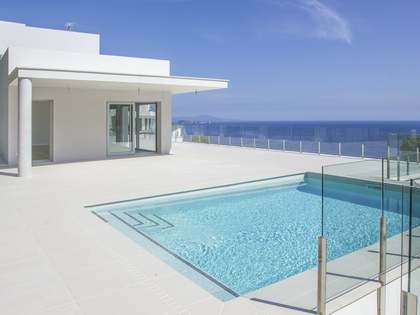 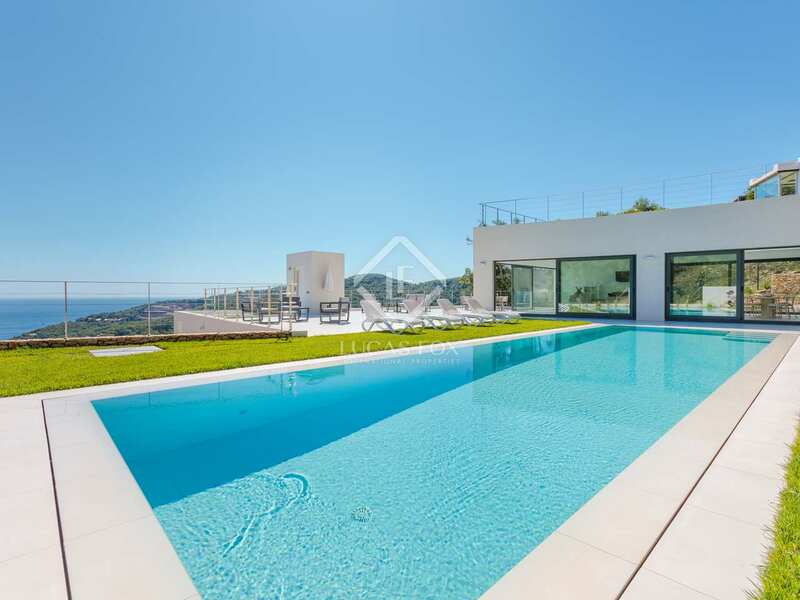 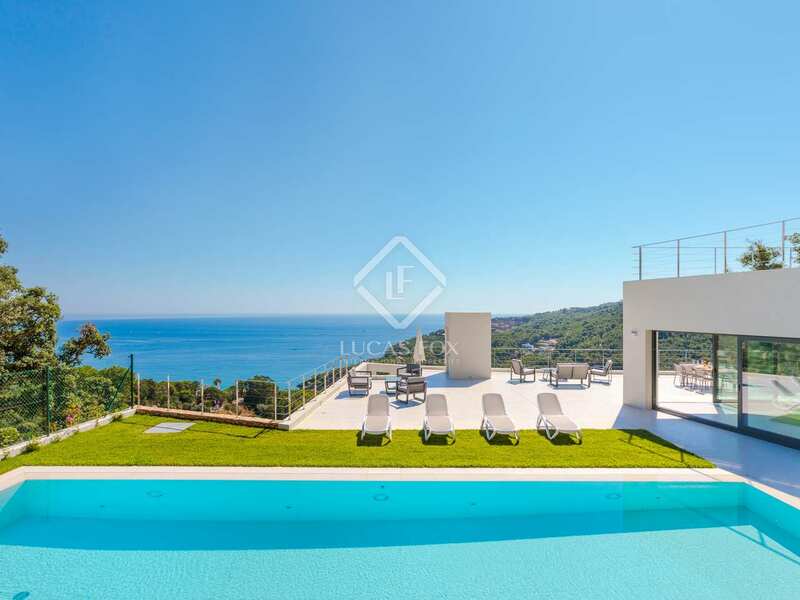 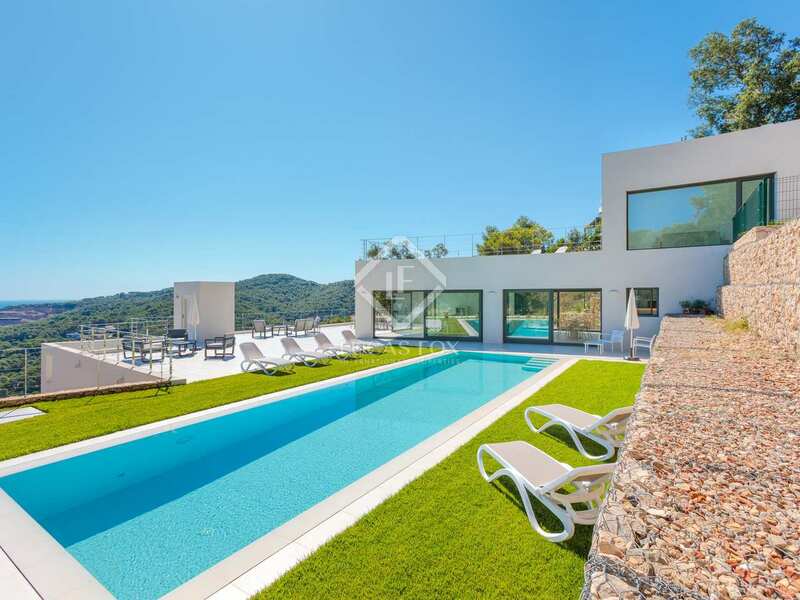 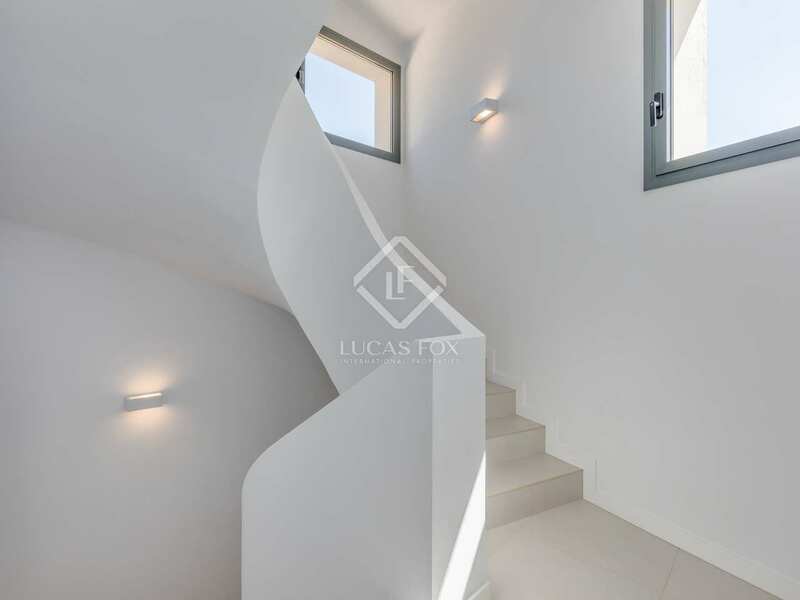 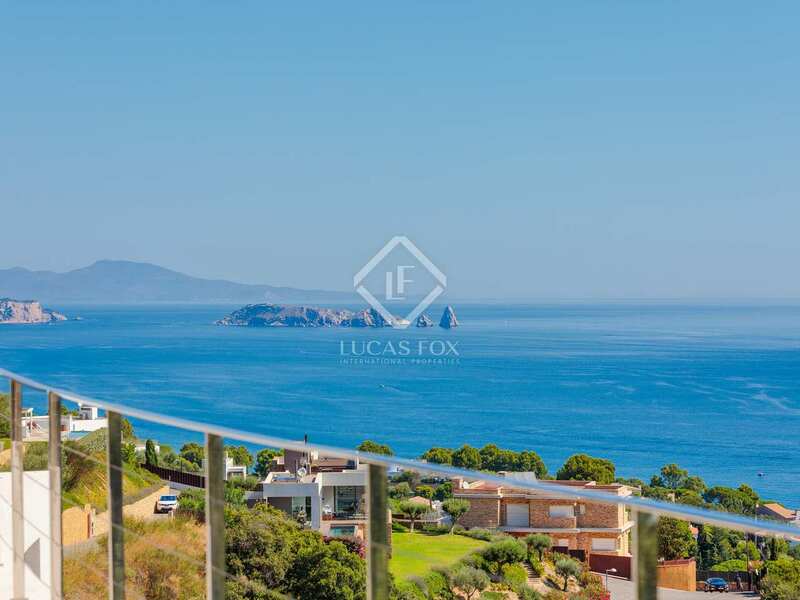 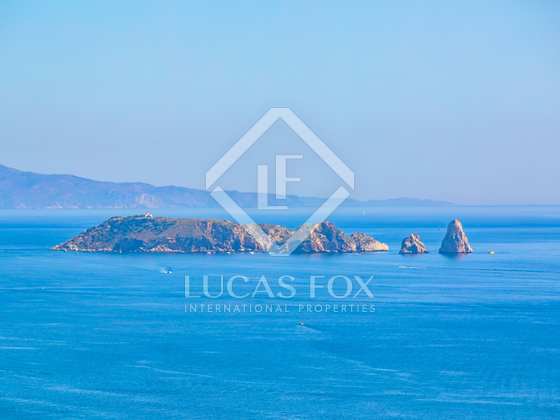 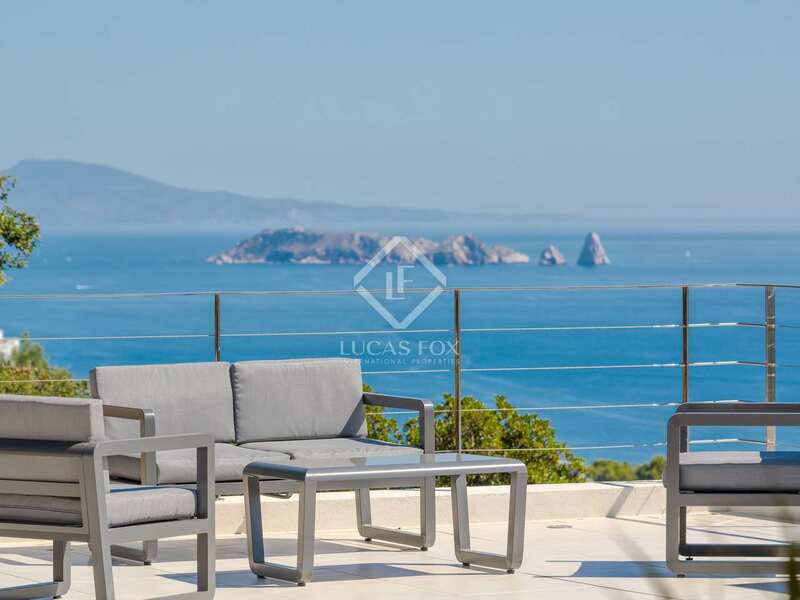 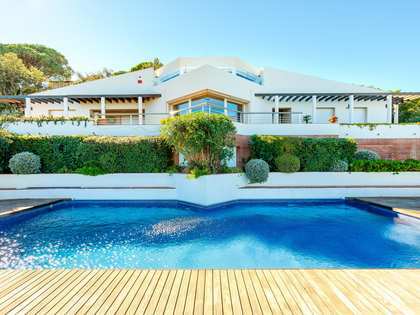 Completed in Summer 2018, this superb contemporary style 6-bedroom villa is located at the end of a peaceful, no-through road in an upmarket residential area of Sa Riera and enjoys spectacular sea views to the Isles Medes. 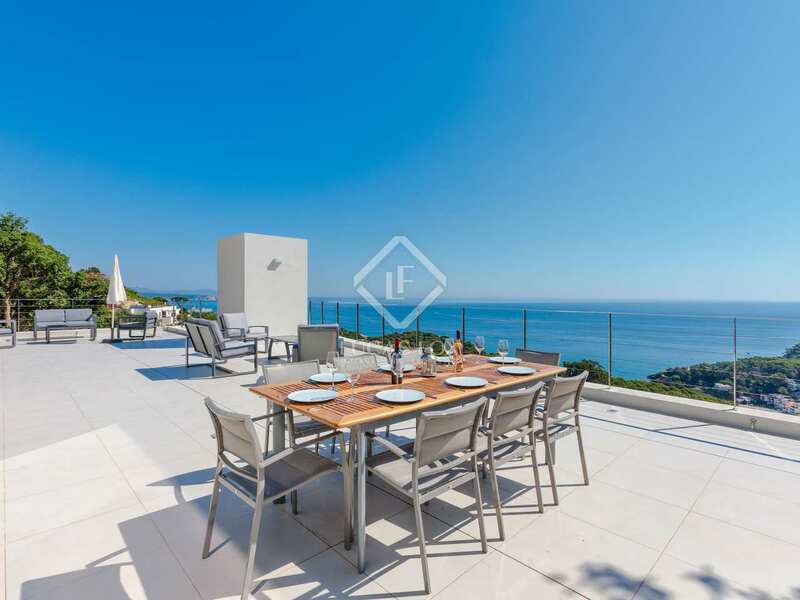 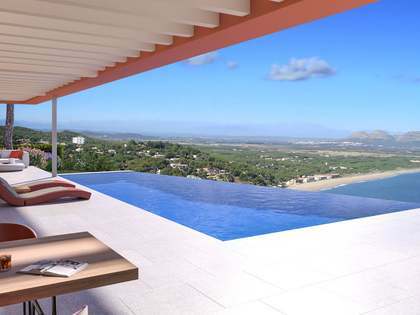 Just a 15-minute walk from the Sa Riera beach and its beachside restaurants, the villa is one of few newly constructed homes currently available for sale in the area. 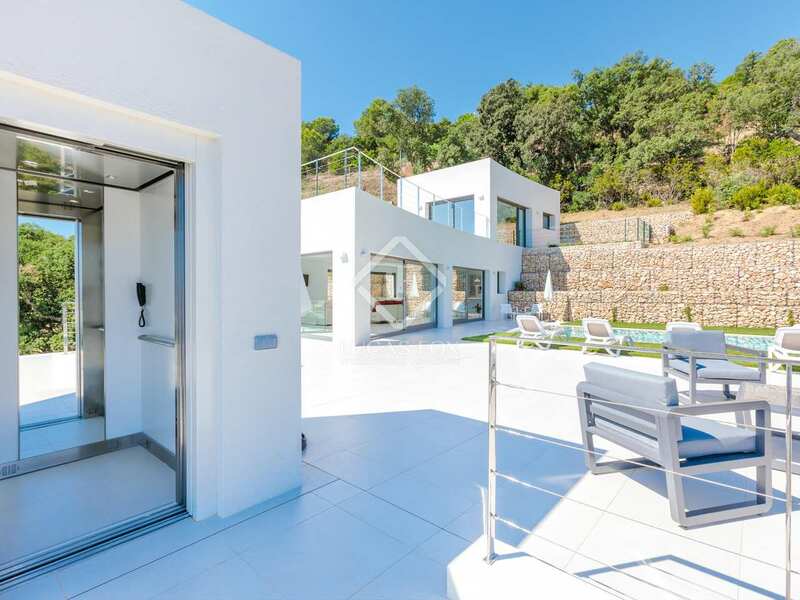 The east-facing villa is constructed over 5-levels with access via elevator from the parking area at ground floor level. 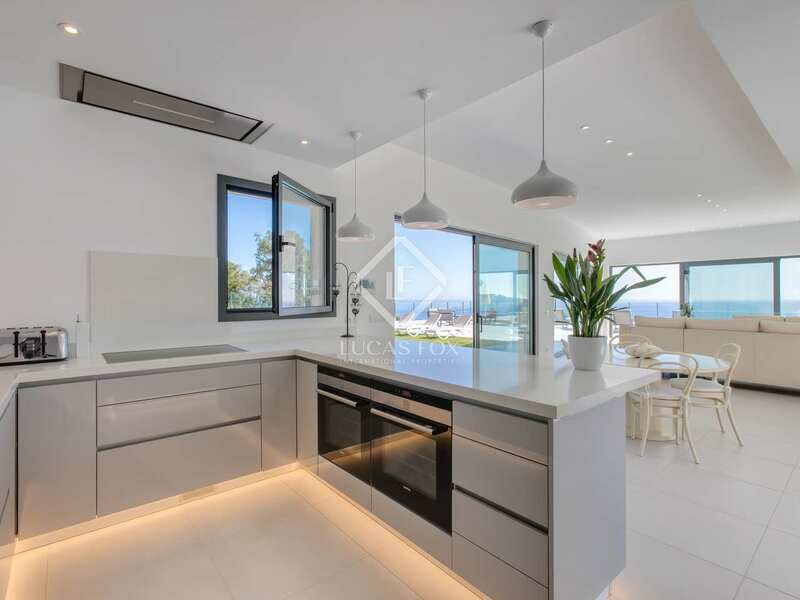 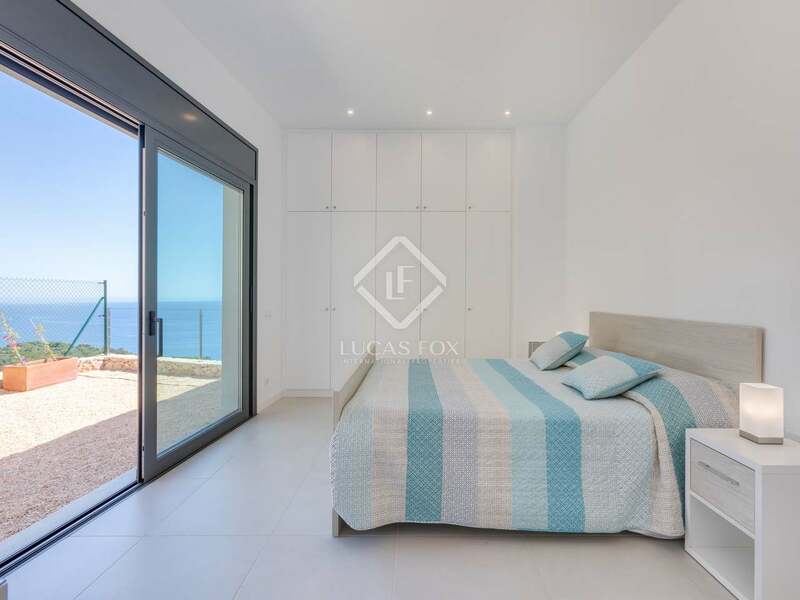 The modern, open-plan kitchen and the main living/dining area all enjoy wonderful sea views and direct access to a large terrace with attractive swimming pool and lawn garden. 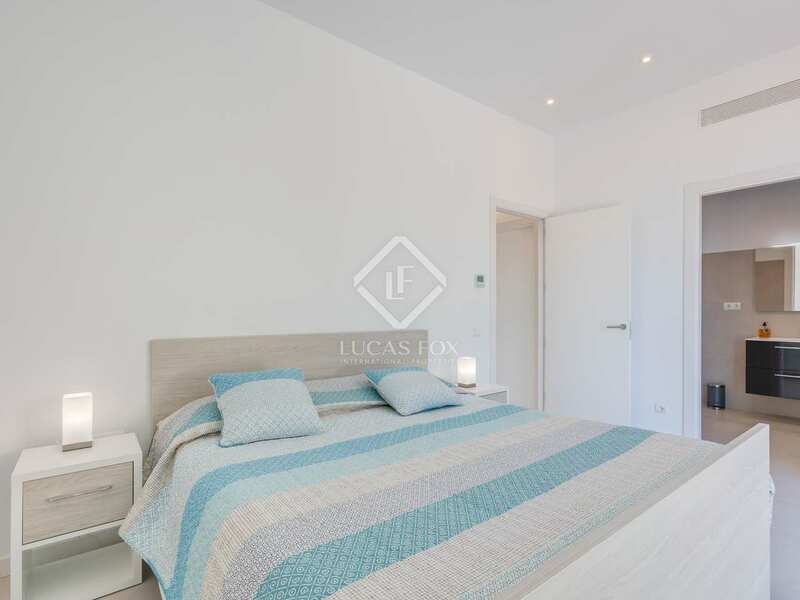 The house boasts 5 main bedrooms - including two large master-suites - and there is a further bedroom and bathroom for service personnel accessed directly from the kitchen and with easy access to the utility/laundry area. 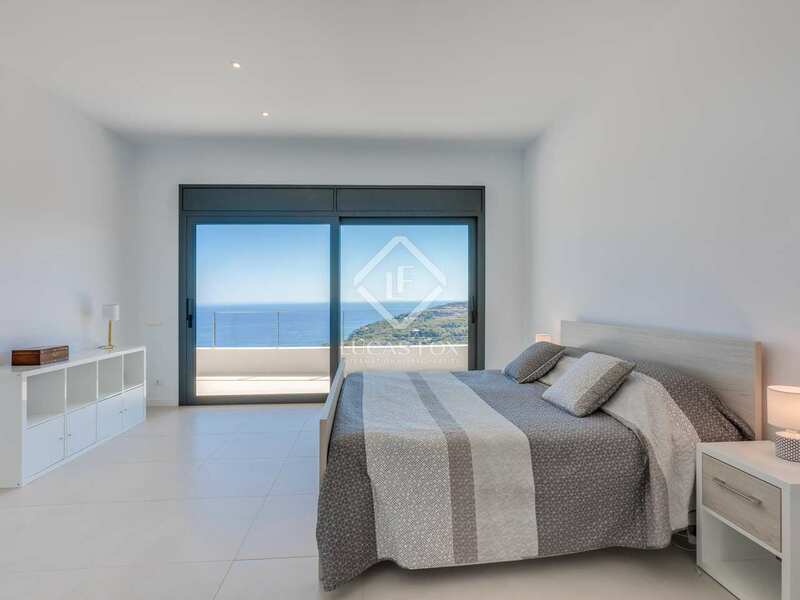 All of the main bedrooms enjoy access to a terrace and all enjoy lovely sea views. 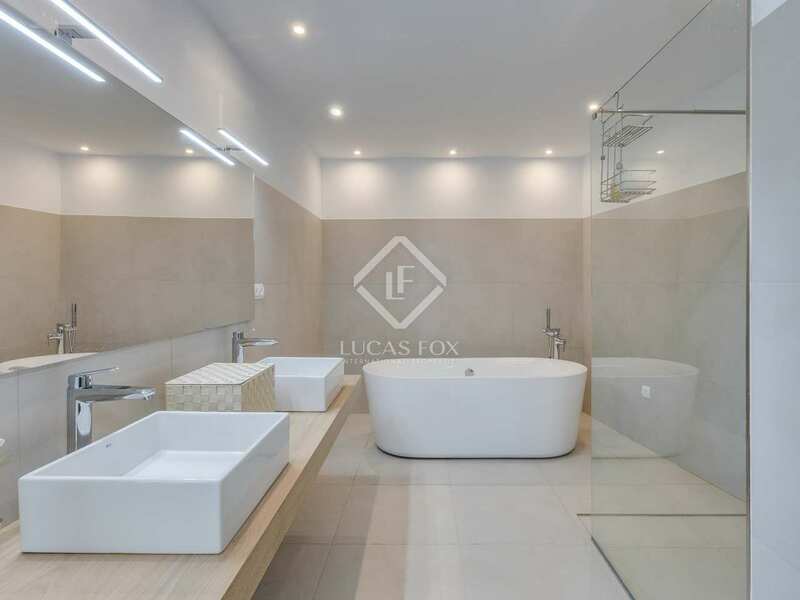 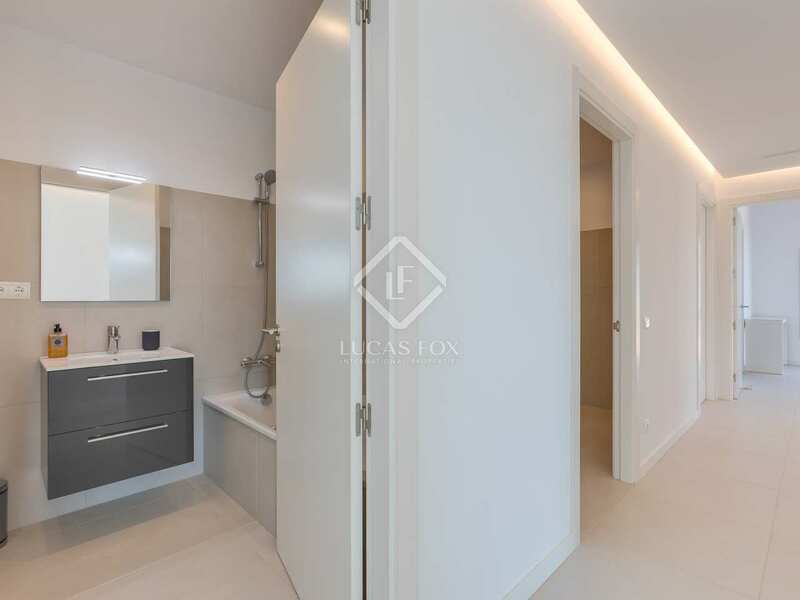 Finished to a high standard, this exceptional modern home is equipped with an integrated air conditioning system, high quality Roca ceramic floors and indirect lighting. 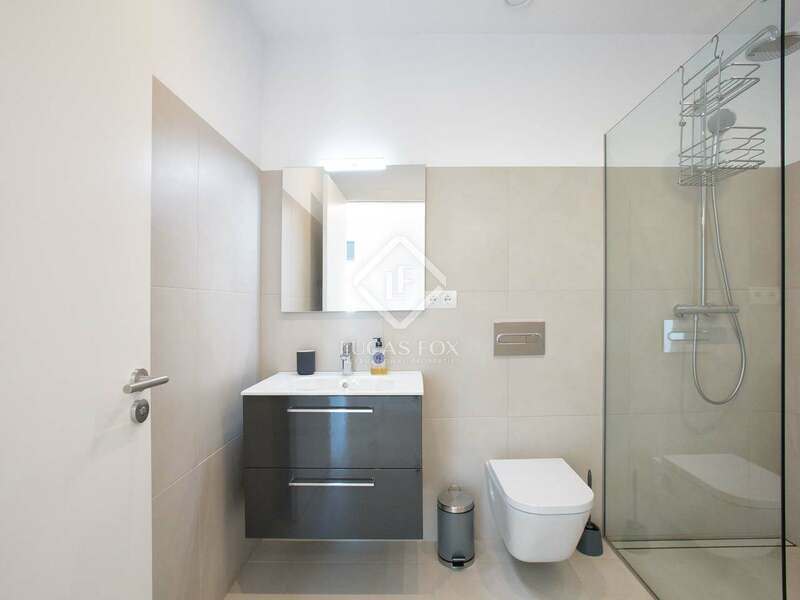 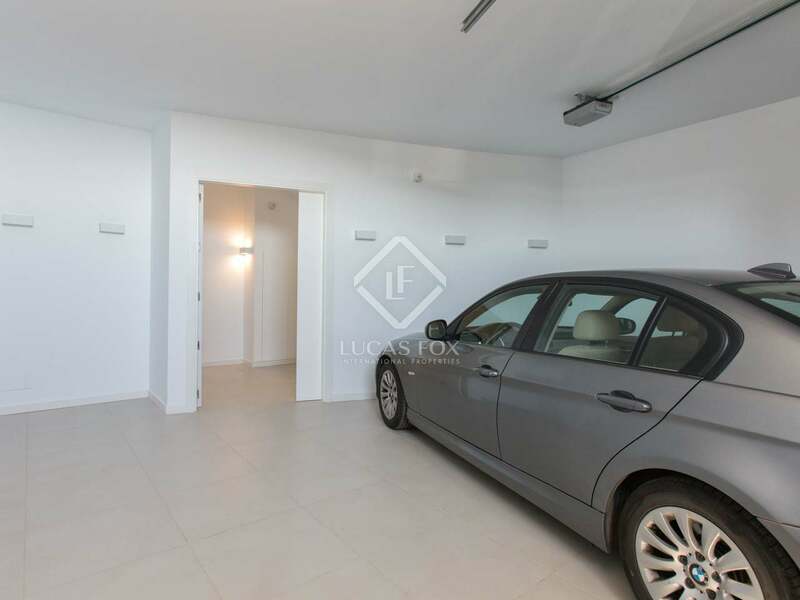 There is a garage for one car at ground floor entrance level and at first floor level there are two large rooms which could easily be converted into additional naturally lit accommodation, a spa area or home cinema. 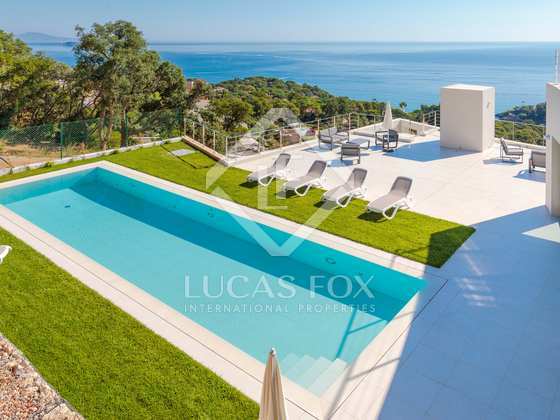 The property is just a few minute's drive from the sought-after town of Begur and less than 10-minutes from the nearest golf course. 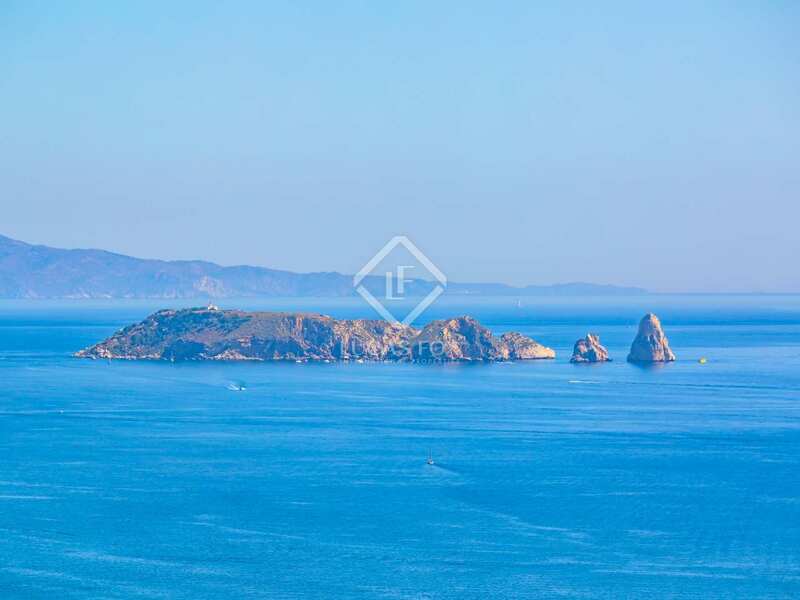 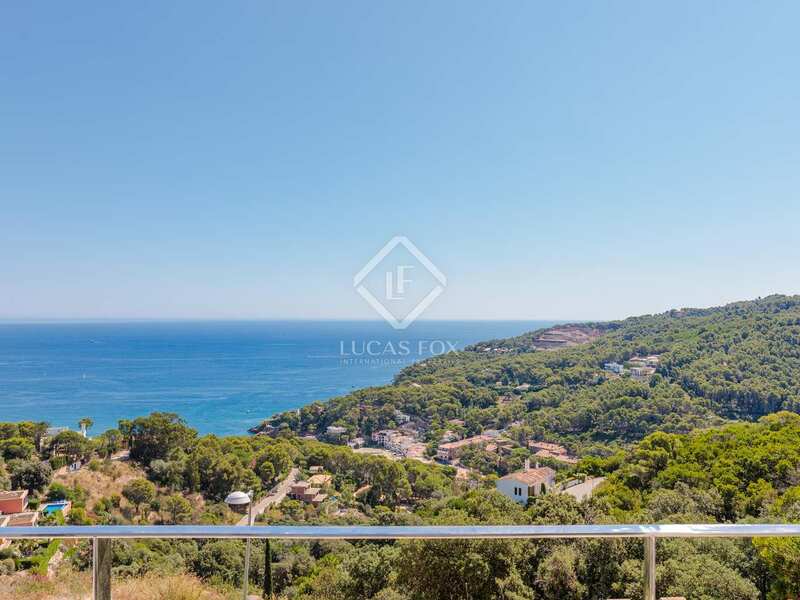 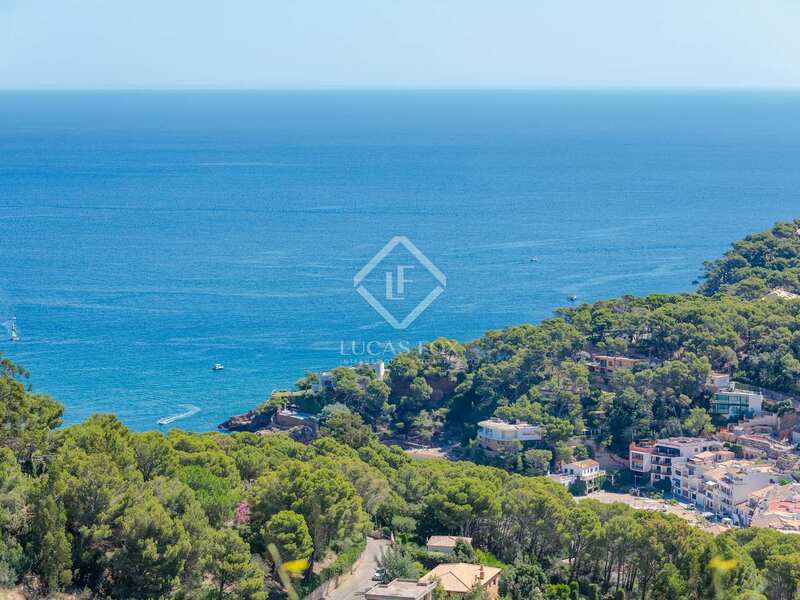 This exquisite Costa Brava property for sale is located just a few kilometres from the lovely town of Begur and just a 15-minute walk from the beautiful sandy beach of Sa Riera. 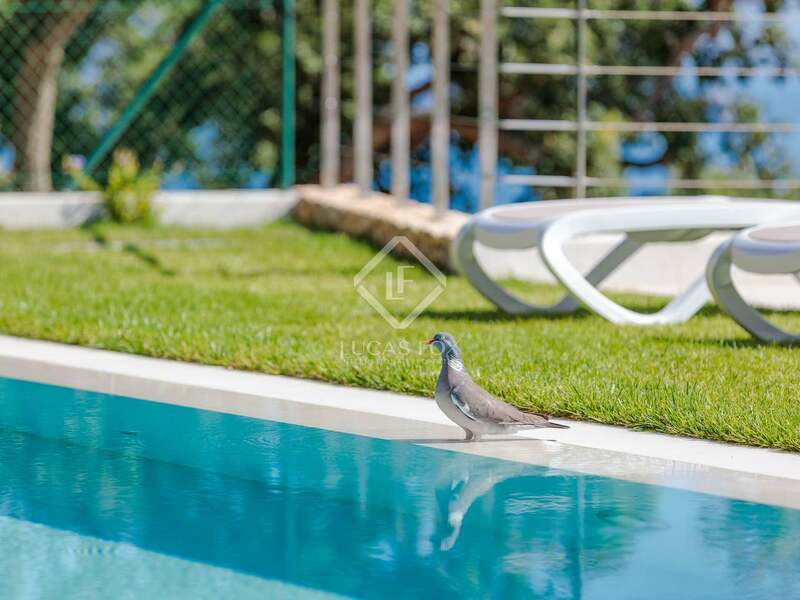 The house is located at the end of a peaceful, no-through road in an upmarket residential area just 1h30m from Barcelona city and 45 minutes from Girona city and its international airport. 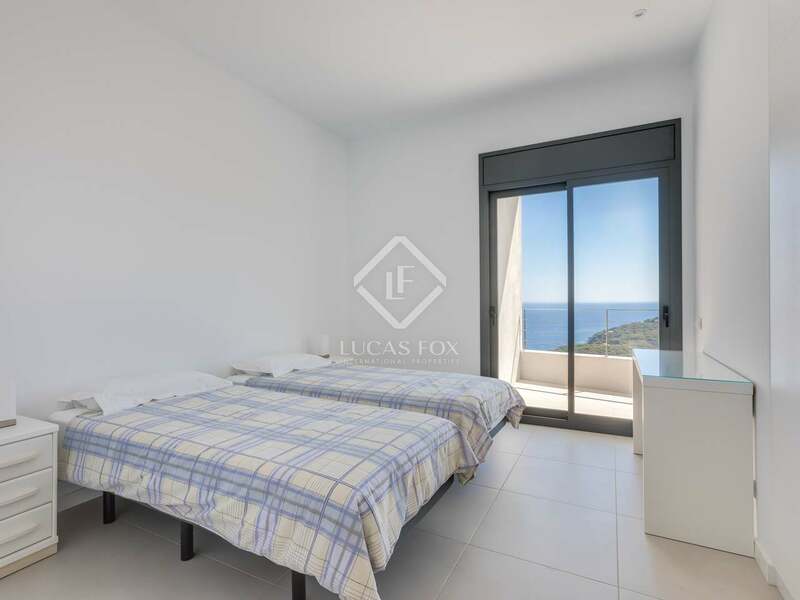 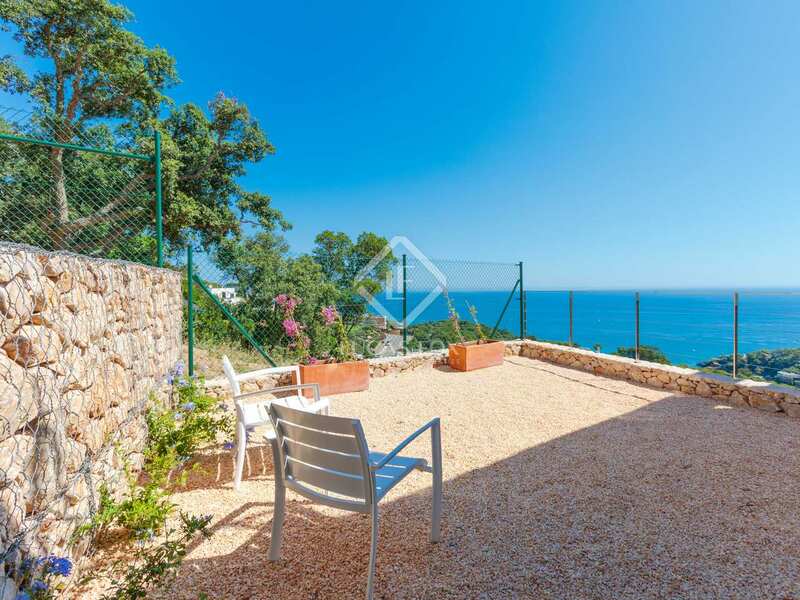 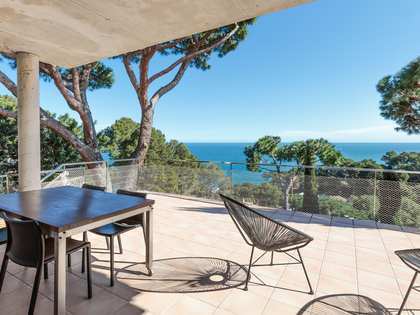 The house is also less than 10-minutes from the nearest golf course and less than 15-minutes drive from some of the Costa Brava's most attractive bays and beaches including Aiguablava, Sa Tuna, Llafranc and Calella de Palafrugell.